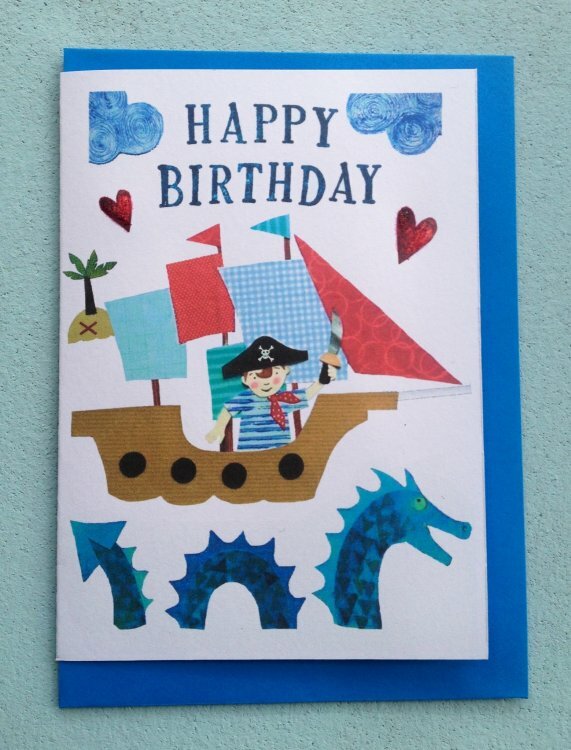 Boy's Happy Birthday Pirate Greetings Card. A6 card from my own illustration. With glitter detail on hearts. Great for any piratey boy!